Founded in 1993, FC Deploy is a Brazilian services company (S&OP Process Outsourcing) with focus on the Sales, Demand, Replenishment and Operations Planning processes modernization (S&OP – Sales and Operations Plan) reselling and developing software tools to increase the organizations bottom line. The software tools are very easy to use, quickly implemented and fully integrated with the client software environment. The S&OP Web Portal (Portal S&OP) developed by FC Deploy empowers the collaboration among the Marketing, Sales, Operations and Finance areas, supported by a baseline scenario generated with statistical algorithms. 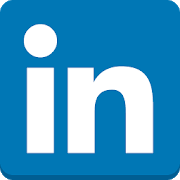 When you have a chance, take a look on our LinkedIn posts.